Dance Unlimited performs at hospital events throughout the year, including a recent visit from Kay Jewelers employees. The Christopher & Dana Reeve Foundation recently awarded a $10,000 grant to Dance Unlimited, the hospital’s dance therapy program. Funding will help the program expand into additional parts of northeast Ohio while keeping the program free for families. In addition, the funds will allow the program to purchase new equipment like sport-style wheelchairs, dance costumes and hand grips to provide kids with quadriplegia, weakness or spasticity some alternative ways to hold pom poms and ribbons. 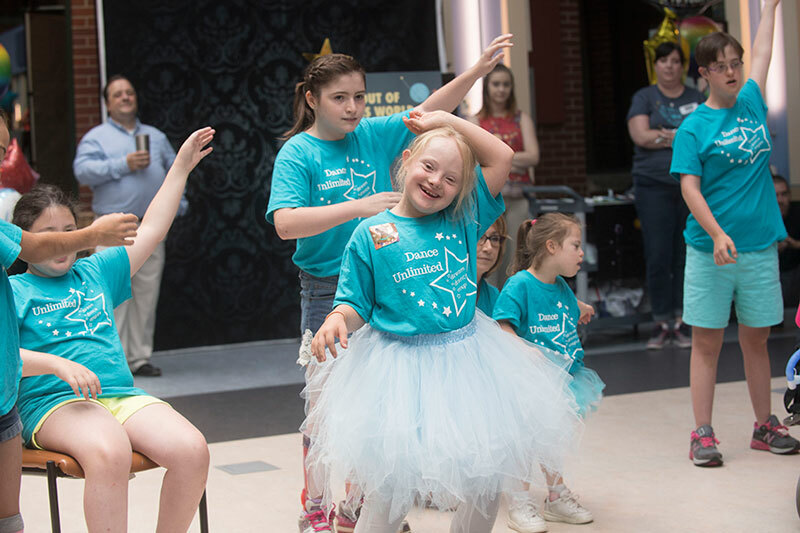 Since 2007, Dance Unlimited has provided an alternative to typical physical therapy sessions for pediatric patients with a variety of diagnoses, including Down syndrome, cerebral palsy (CP), autism, spina bifida, paralysis and pulmonary problems. A number of kids travel long distances to attend sessions. Moving the program into other areas will help ease some travel burdens. One possible expansion option is to rent 2 dance studios, likely in the Canton/Massillon and Youngstown areas. Akron Children’s officials hope to complete expansion by spring 2018 at the latest.